As previously advised by the APBA NSW Council, the NSW Formula Futures Championship will be held at St. George Motor Boat Club on Saturday 23 June 2018, starting at 10am. Additionally in lieu of a regular club day, On Sunday 24 June 2018, we will be holding the remainder of the races that were scheduled for the Sunday of our last Spectacular, subject to there being adequate number of boats available to attend. We are planning to start at 10am. Prize money will be paid to all finishers in a final of each race or race series. There is no entry fee for competitors who lodged entries for the February Spectacular. An entry fee of $50 applies to those who wish to lodge a new entry. Please see the online entry form for details. WE ASK THAT ALL COMPETITOR INTENDING TO RACE PLEASE LET US KNOW NO LATER THAN TUESDAY 19 JUNE 2018. Thank you to everyone who participated in our 2018 Speedboat Spectacular. Unfortunately we weren’t able to complete the races scheduled for Sunday 25th February. Some of those races will be scheduled for our next club day on Saturday 23rd. June 2018. 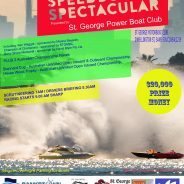 A debriefing for the 2018 Spectacular will be held at the St. George Motor Boat Club on Tuesday 13 March 2018. Don’t forget the NSW Formula Future Championships will be held on Sunday 24th June 2018. The race day postponed from 25 November has been rescheduled to Saturday 13 January 2018. 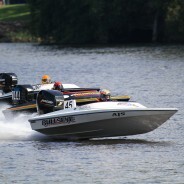 The PBC pre-race committee meeting is on 7pm tonight at the St. George Motor Boat Club. It’s not looking good for the weekend, at the moment we only have one big boat and two juniors interested in attending. Club days are open to Formula Futures, Thundercats and all classes of Speed boats. The 2017 Speedboat Spectacular (including the APBA Championship Races) has been postponed to the weekend of the 24 and 25 June 2017. The final round of the NSW Formula Future Championships will also be run. Spectacular Events will be held on Saturday 24 June, with APBA Championships scheduled for Sunday 25 June. If required some Spectacular events may be postponed to Sunday 25 June. 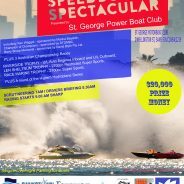 Overnight security will be available for the 2017 Spectacular for those who wish to leave their boats or vehicles at the St. George Motor Boat Club. NOTE: Entry fee refunds are available for withdrawal due to mechanical issues or other problems if email request is received by midday Friday 23 June 2017. Please include name (boat name if preferred) in the deposit details. Our next club race day is scheduled for Saturday 18 August 2018. We plan to make it an afternoon event, with scrutineering from 12 midday and racing from 1pm. If you are interested in participating please let us know ASAP. If we receive enough entries to put a race program together the day will go ahead, if not we will look forward to our next scheduled race day in November. $10 entry for Saturday’s Club Day close on Thursday. $10 entry for Saturday’s Club Day close on Thursday. Please get your entries in ASAP. Here is the link to the Forms & Download page of the website. 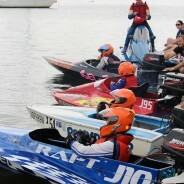 http://www.stgeorgepbc.com.au/forms-downloads/ Fingers crossed that the weather holds out to get some racing done.